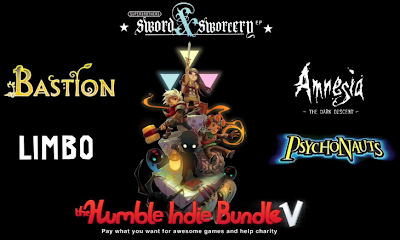 How do you decide which games get put into each bundle? Is it semi-random or do you look for games that you want to support and add the developers to the bundle group? Did you expect 2 000 000 dollars in only 24 hours? 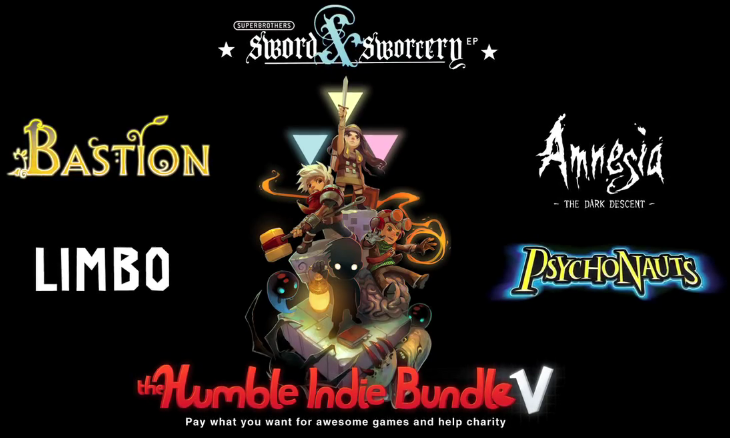 How did the Humble Indie Bundles influence your decisions to port your games to Linux? What was the porting process like? Linux was like a party that sounded fun we were afraid to go to because we didn't think we'd know anybody there, and the HiB guys were like your socially fearless friend who says, "Don't worry, we'll go together." And when he gets to your house he says, "Is that what you're wearing?" and you say, "uh..." and he says, "Don't worry. I know a guy." And he lends you a cool leather jacket and you go to the party and when you walk in there's a needle scratch and everybody turns to look at you and your friend gives a cool nod and then everybody goes back to the party. So kind of like a John Hughes film. Hope that helps explain things. That's about as technical as I can go. I just hope I don't accidentally knock over a beer can pyramid that some tough guys are building. What made you decide to make a Linux port? Will you be porting other Double Fine games to Mac and Linux now? "What made you decide to make a Linux port?" The HiB guys did. And now that we've dipped our toes in, we hope to do more in the future. It gave us the confidence to promise a Linux version of the Double Fine Kickstarter Adventure, for example. Why was Limbo allowed into the bundle when it uses Wine for the linux "port"? Don't get me wrong, I love Limbo, but what kind of precedent is this? The LIMBO Linux build was created by CodeWeavers who basically take a custom version of Wine and tune the game to make sure it runs flawlessly. This is our first experiment with CodeWeavers and we are watching carefully. If there are any bugs with the game, I don't want people to think "oh well, it uses Wine" -- these ought to be sent to CodeWeavers who should do their best to fix them. We typically help organize porting for the games in the bundle, and it's usually the toughest part! But we're rabid about trying to provide the best experience possible, and native ports usually do that. But in the case of LIMBO, our porting friends said there was some audio middleware that's not easily supported on Linux, we decided to see if we could experiment with another solution that could provide a rock-solid Linux gaming experience. CodeWeavers took it on—they do highly customized Linux wrappers to optimize specific pieces of software—and the prototypes worked incredibly well. They spent a lot of time tweaking and optimizing, and it passed their QA and our QA (and seemed to perform more consistently than even some of the native ports we've seen). But we get that software is hard, and so we'll try to keep an eye out for any showstoppers. Hit up contact@humblebundle.com with any issues and we'll make sure CodeWeavers hears about any LIMBO bugs that need fixing. Will you have better linux Q&A in the future? For nearly all of the bundles it's quite common that the linux versions of the games will be buggy and/or unplayable till they get patched later. For example I still can't play super meat boy and there hasn't been any activity on the bugzilla icculus hosts for the game. Yes, we have about 30 Linux testers who we added after HIB 4. We are always working on improving this. I know Ryan is working on some Super Meat Boy fixes. We do the best QA we can, but it's a wide-wide world of Linux out there, so it has been really hard to squash all the bugs before they're encountered in the wild. If anyone super-trustworthy is willing to help us iron out Linux issues, we could always use a few more knowledgable folks! Email tux@humblebundle.com with a bit about your Linux background. I usually give 5-7 dollars to the HIB, I know but some peaple who give 0.01. What do you think about it? Paying a penny for the bundle is better than pirating the games for nothing, and pirating the games for nothing is better than not playing them at all. The beauty of pay-what-you-want is it's one of the few models that does a decent job of "competing" against piracy, by offering value-conscious players a straightforward and legal way of getting games for very little. It's a good thing that the guys paying a penny get balanced out by guys paying more of course, since if no one paid anything for these games then it would be even more difficult to make them.